What’s on your gratitude list this year? Perhaps you’re grateful for friends and family, perhaps a job that pays your bills, a roof over your head, plenty of good podcasts to listen to and books to read, and music that always makes you want to tap your feet. Perhaps you traveled to see loved ones or to simply see the world this year. Maybe you learned the joys of the minimalist lifestyle or finally made a big purchase – like a home – this past year. Whatever good things came your way this year, we hope you’ll remember to take some precious minutes to be grateful. It can be so easy to get swept up into our day-to-day activities and neglect gratitude, but a thankful mindset is a much more satisfied, happier one. This Thanksgiving, really treasure your gratitude list and expand it as much as you can. An attitude of gratitude is always wise! As you ponder your life and add to your gratitude list, your thoughts will naturally shift, at some point, to your living space. Whether you live in an apartment or a mansion – or something in-between, you should be grateful for your home. As grand or humble as it may be, it keeps you warm and safe, and gives you a sense of familiarity and well-being. But there may be one aspect of your home that’s been bothering you for awhile. Perhaps the flooring? Having old, worn out flooring can really dampen the aesthetic of your home and make you feel uninspired. But when you update it with Monarch Carpet, Drapery & Upholstery, you’re going to feel a real burst of energy from your toes to the top of your head. But when you start browsing options online, you might start feeling your head spin. There are just too many choices! Don’t go it alone – enlist the experts at Monarch Carpet, Drapery & Upholstery to help you. Give us a call at (877) 766-6272 and we will gladly send one of our flooring experts to your home to check out your current flooring, offer some recommendations, answer questions, and provide you with a free estimate. 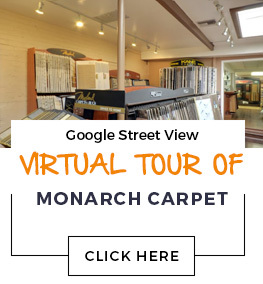 You’re also welcome to stop by our store, which is conveniently located at 3007 West Temple Street Los Angeles, CA 90026 to see and touch flooring samples in-person and speak with our expert staff. 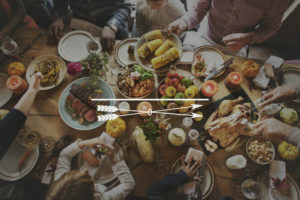 When your family goes around the table this Thanksgiving to express what each person is grateful for, you’re going to have an epic contribution this year when you enhance your flooring with Monarch Carpet, Drapery & Upholstery. We have thousands of styles to choose from from top manufacturers like Anderson, Infinity, Shaw, and many more. Start browsing some room ideas here, and don’t forget to give us a call at (877) 766-6272 for expert assistance. Once you’ve picked out your new flooring, you’ll be able to really just sit back and relax. Our professional installers have plenty of experience installing all kinds of flooring. They will make sure every single inch of your flooring looks perfect – just in time to have loved ones over for Thanksgiving. Happy Thanksgiving from all of us at Monarch Carpet, Drapery & Upholstery!